Sheep Wagon Glass Art/Stained Glass Lights…. 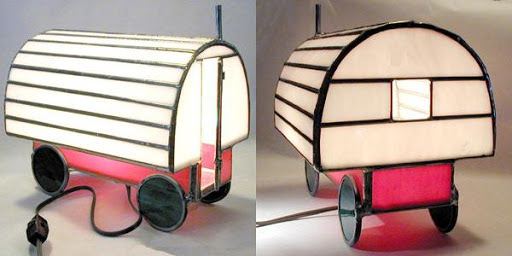 Just a quick lil’ post to show you a cool sheep wagon lamp/light I came across online- these are made by Angie’s Stained Glass in Wyoming…and they come in a few styles…. I’m working on a post soon of Sheep Wagons/Gypsy Wagons as tiny homes/houses…..I’ve come across some GREAT stuff and want to post it in photo gallery form. Keep checking back! Could YOU live in this tiny home? Well, sorry for missing a day or two of posting- I’ve been breakin’ my back building another cool micro-structure for a show I’m hosting/filming for the DIY Network- this one came out GREAT (even better than I had hoped) and I can’t wait til these segments air. Sadly, for whatever reason, I’m not really supposed to show any photos of this stuff until the show is public, but after that, its no-holds barred- I’ve taken tons of cool photos of these treehouses, playhouses, shelters, and more, and I can’t wait to share them. 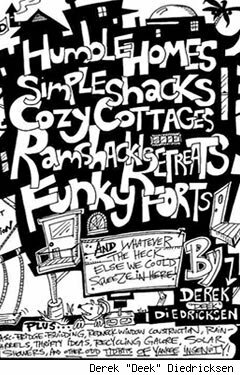 By the way, for awhile, I’ll be calling out for submissions for a future book on not only tiny houses and cabins, but kids playhouses, tree houses, forts, and so on. Email me your projects or photos you’ve personally taken at kidcedar at gmail dot com. Thanks! Meanwhile, I spotted this schematic over on a cool site called interestingengineering.com. 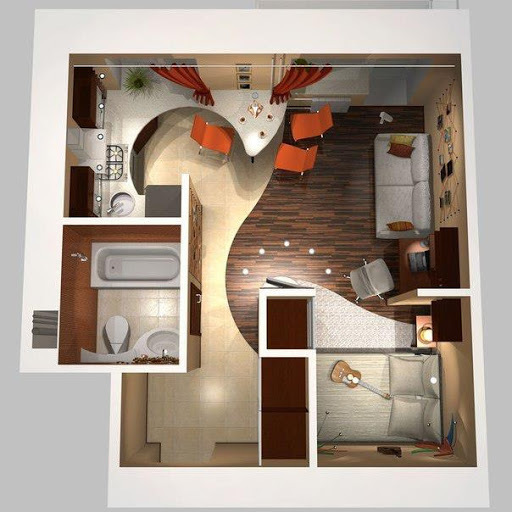 What’s your take on this tiny house interior? Could you live in it? What would you improve on? What works well?